XRP is spreading with a positive word of mouth element. Today, according to the news and an announcement, it was cleared that the CEO of SWIFT, Gottfried Leibbrandt, would be stepping down as the lead of key piece at the company next year June. Known for offering cross-border payment services, the Society for Worldwide Interbank Financial Telecommunication (SWIFT) was headed by Leibbrandt for 7 years. Leibbrandt led the company through thick and thin, through a series of crises ranging from sanctions on Iranian banks, hacking and threats from blockchain technology especially Ripple (XRP) network. Before the advent of SWIFT, Telex was the major means of conveying and confirming financial transaction information across the world. Due to the low-security level and speed of Telex, people opted for SWIFT as the former does not have a unified system of codes like the latter. 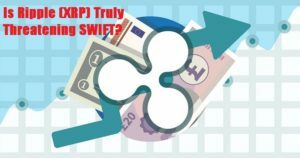 For whoever is conversant with the remittance world would know that Ripple (XRP) and SWIFT services are alike despite the fact that the former is built on blockchain technology. Even though there has been an expectancy of a partnership between both companies, there have been several claims in the FinTech space that Ripple blockchain technology is no doubt a threat to SWIFT. Also, senders need to describe every transaction in sentences for the receiver to interpret and execute, and this led to a series of human errors. Despite the fact that SWIFT came to their rescue, they soon found out that it had flaws. Not long, especially with the advent of blockchain technologies like Ripple (XRP), users discovered that the speed and security of the network are undesirable. While the likes of Ripple network requires few second for execution of the cross-border transaction, SWIFT offered a rudiment method that necessitates days to completes transaction. Similarly, Ripple blockchain technology grants a system that allows for monitoring of transactions from sender to receiver to ensure the safety of transaction, whereas, SWIFT is trackless. Lastly, while it is quite almost impossible to hack Ripple network in cross-border remittance and no report of such has been issued, SWIFT, in February 2016 witnessed a cyber-theft where $81 million were carted away by sending phony instructions via SWIFT to the Federal Reserve Bank of New York. 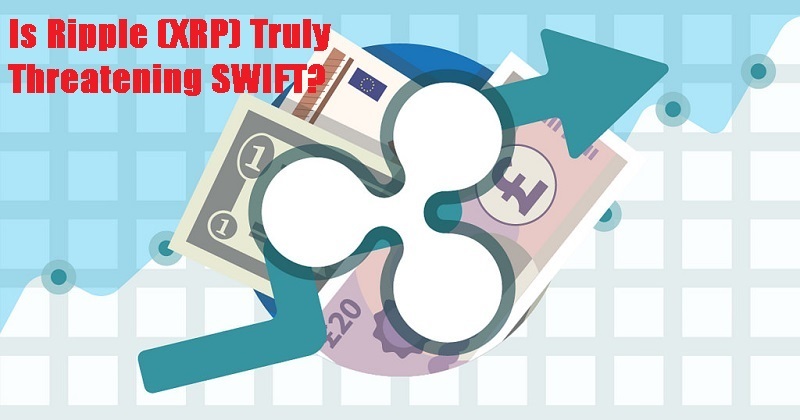 As such, many proclaimed that Ripple (XRP) network and other similar blockchain technologies offer a faster, cheaper and a more secured remittance corridor when compare with SWIFT. Certainly, it is no more news that hundreds of banks and other financial institutions have partnered Ripple for its cross-border remittance service in order not to be left out of the latest evolution in the FinTech industry. Thus, it is evident that Ripple is taking away some of SWIFT customers gradually.To crown it all, the head of Ripple Labs Inc. taunted SWIFT, claiming that XRP is gradually take over. Similar to this, Leibbrandt, in a statement while declaring his resignation said: “Swift is in a very different shape than it was seven years ago.”“There’s always going to be a time to hand over the reins and write a new chapter. I think this is indeed the right time,” he added. Many weighed in on the statement with the opinion that the pressure from Ripple (XRP) might have forced the CEO’s resignation since all effort made to match the blockchain technology remains futile. SWIFT is regarded as a firm that offers a network that allows financial institutions across the world transfer and receives financial transactions information in a safe, standardized and dependable environment. Previous Why XRP Technology Is Way Ahead Than Other Cryptos?